If you’re anything like me you want to embrace the spirit of Halloween without spending too much money. It’s only one day after all, and not even in the same league as Christmas! So you want to be a little thrifty but you don’t want to turn up to a Halloween party dressed as a cat, a boring witch or in last year’s get up. The solution is to get creative and, first thing’s first, to check your wardrobe for items you already own that could be the basis for something amazing with just a little effort! So the question is – what do you have lying around? Don’t just think regular witch, think specific witch. 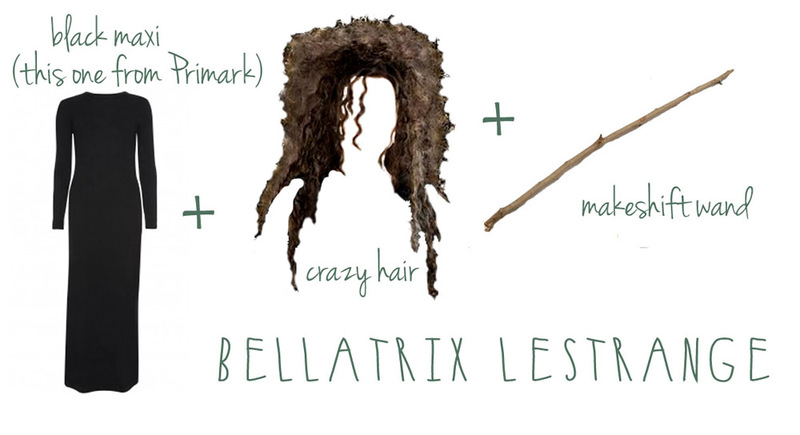 I’m thinking Bellatrix Lestrange! Make sure to act completely psychotic for that extra touch. 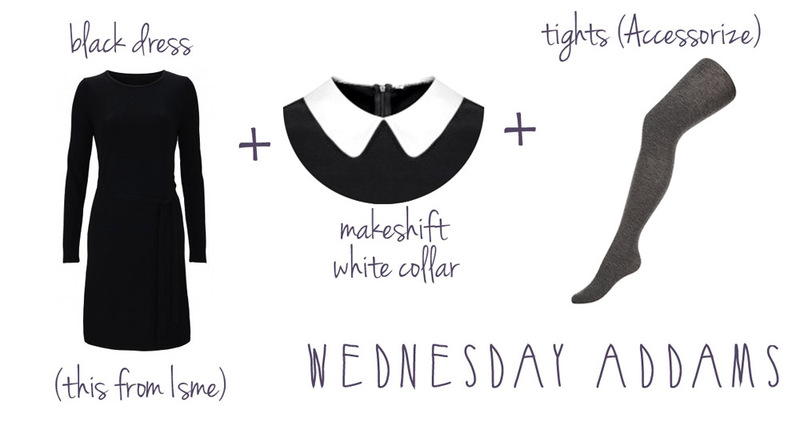 Wednesday Addams – what could be simpler? It’s all about the power of two. 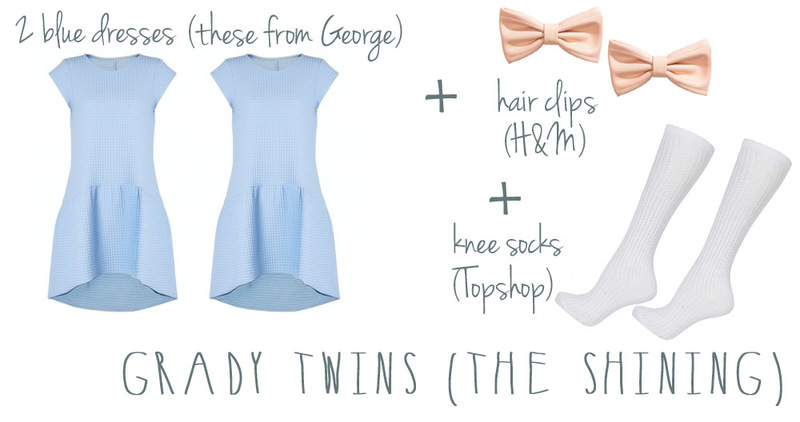 You just need simple matching dresses (Primark anyone?) and straight away you’re the creepy little girl twins from The Shining. Remember to be creepy. Well destroy it then! 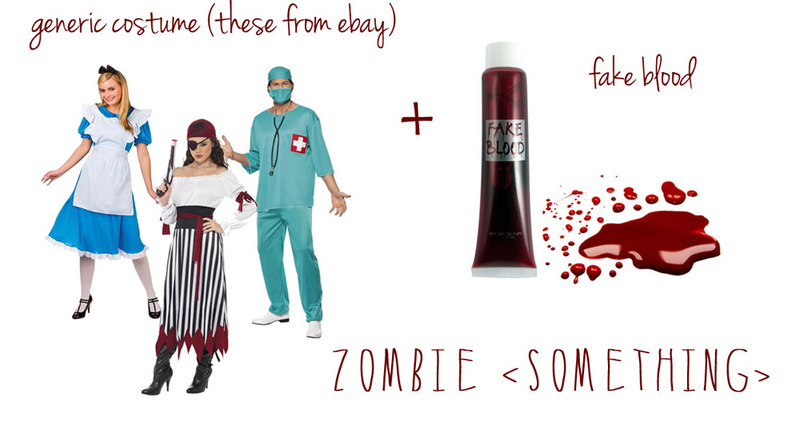 Tear it, dirty it and add plenty of fake blood. Then add some corpse-like makeup and dishevelled hair and suddenly you’re a zombie version of <insert general fancy dress character here>. As unimaginative as this initially sounds, these costumes can be some of the most eye-catching at the ball! I have a friend to thank for this one – a very effective “Exorcist” costume can be yours for less than £5! 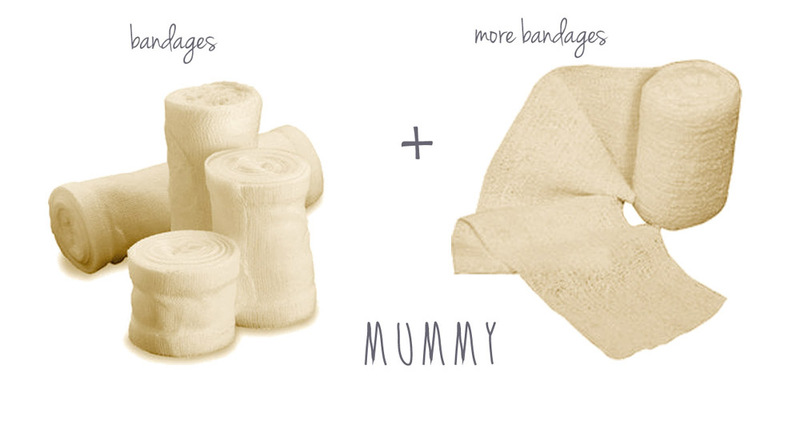 Wrap yourself into a DIY mummy costume. I have another friend to thank for this idea – I’ve seen it done and it’s both possible and effective (and again very cheap). But it’s also high maintenance when you consider the issue of how you’d go to the toilet. I’d recommend wearing a white vest top and leggings underneath ready for that moment during the party when you give up on the bandages! There isn’t just one costume idea here, but a world of opportunities. 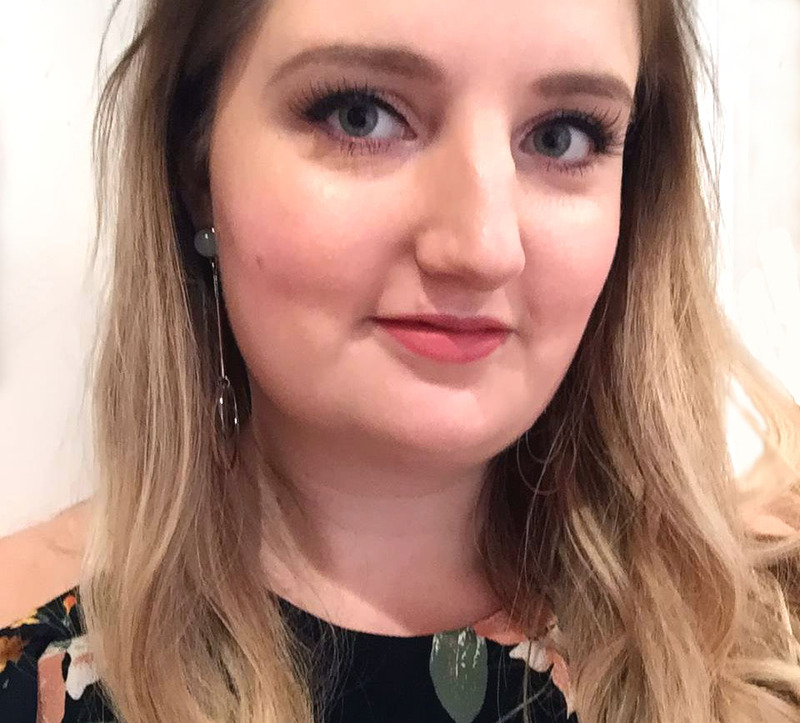 I have always found that the outfit itself matters much less if you can do amazing hair and makeup, which means you can get away with simple (and cheap) outfit items! Makeup was the inspiration for and essence of my Black Swan costume one year. And I recently saw this great blog post from Paul’s Hair World, which has a few amazing ideas (although they’re a little creepier than I’d usually go)! 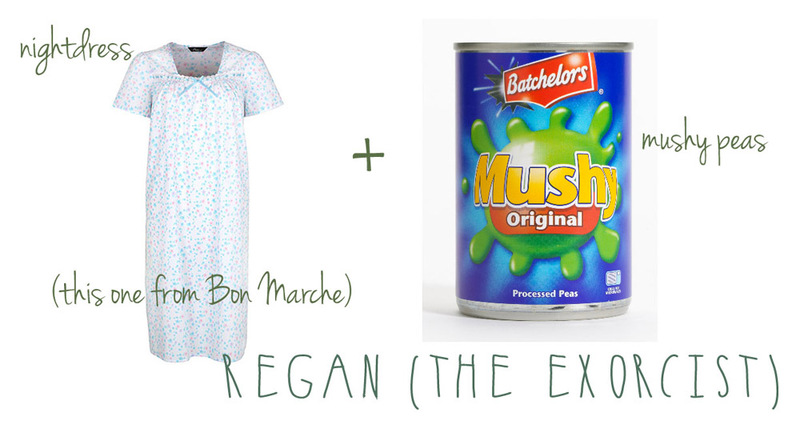 So, this post is just a bit of fun, but maybe It will convince you that this year’s Halloween costume is already lurking in your wardrobe somewhere! Do you have a link to the blue dresses for the shining by chance?